Nick Dunne’s wife disappears on the morning that marks their fifth year as a married couple and soon, Nick’s life becomes a living hell as all eyes begin to suspect him of her murder. But what is the truth behind this mystery? 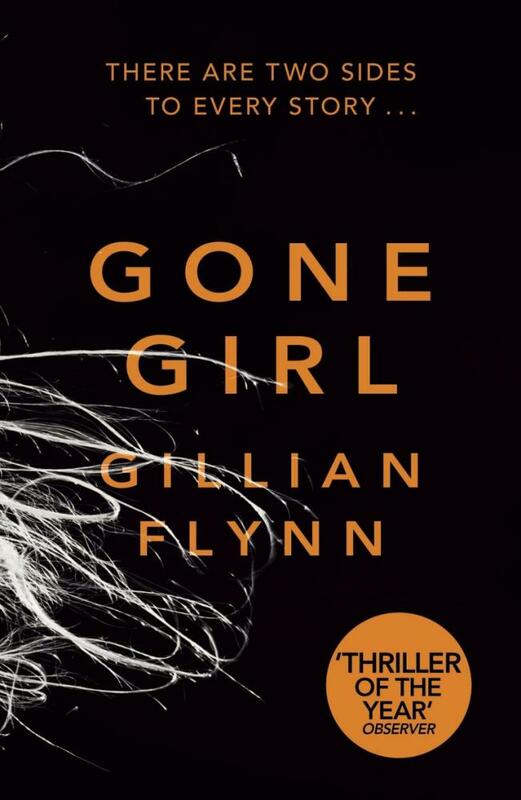 Gone Girl is a riveting mystery thriller that gets all the more complex as you turn the page, offering layer upon layer in this world that’s there for you to chew on as you too are caught up in this mystery. The writing by Flynn here is brilliant, fleshing out the drama of what kind of man Nick is and his relationship with the world around him without it bogging down the thrilling mystery of what’s happened to his wife. Flynn has this really clever way of setting up a little moment in the story before paying off in later chapters, leaving Gone Girl to be this really rewarding and twisting story that delivers moments of surprise after surprise. On top of dishing out a thrilling mystery that manages to keep chugging along rather effectively without burning out early and becoming a bit of a slog that feels like a weak episode of Criminal Minds, Gone Girl delivers a rather satisfying and soul-crushing look at the dissolution of the marriage. As the tale goes on, we learn things weren’t exactly peachy with Nick and his wife Amy. As the tale goes on, we get more and more information on these characters and what their lives were actually like before we meet them at the beginning of the story. For the life of me, I actually cannot recall the last time I read a book that dug its hooks into me, got under my skin and into my head. I thought a lot about the thriller, I thought a lot about the clues that are presented to us before paying off in unexpected ways down the track and I think a lot about the way Flynn wrote Nick and how she develops his personality along the way. To say more about it, would be criminal. My praise for the writing aside, I feel that by the time you get to the last page, things are wrapped up a little too neatly, with a nice pretty bow and everything. For a novel that deals with the messy lives of folk and a dark, twisting thriller, you’d expect things to unravel in a bit more of a chaotic fashion where things end up even more complex than they started off. This is, of course, a minor complaint as Gone Girl is largely satisfying in its execution of a thriller/drama while keeping both elements satisfying, intense and gripping. On a little side note, the film adaptation directed by David Fincher should be quite spectacular.